Automakers are advertising a near future of extremely sophisticated and safe self-driving cars, powered by computers that are smarter than humans. But when it comes to basic manufacturing practices, the industry appears to be letting consumers down. An industry marketing firm has painted a disturbing picture of the state of automobiles today. Nearly 20 percent of cars in the United States were recalled in 2016, a figure that a new report describes as both “incredible” and a record-breaker -- and not in a positive way. Consumer safety advocates have long criticized individual car companies and the industry as a whole for dragging its feet in addressing various defects and manufacturing problems. But this report, published in January 2018, was not published by a safety group, but rather AlixPartners, a business marketing firm whose clients include companies in the automobile industry. 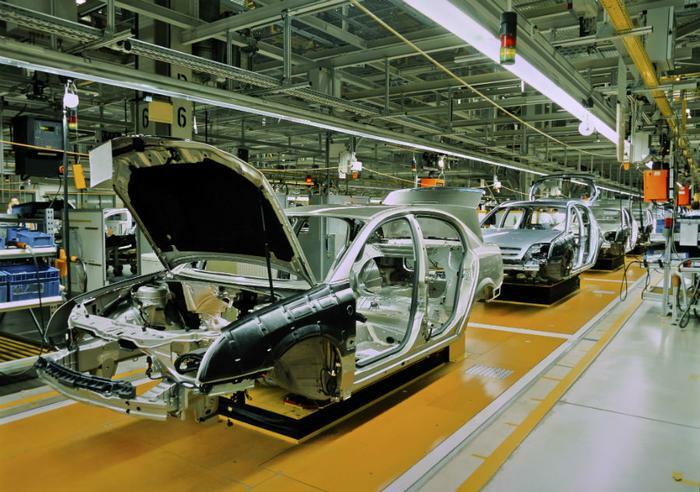 “The cost of underinvestment in quality is finally becoming apparent to the automotive industry—and its investors,” AlixPartners warns in its report. While many of the car recalls that the firm studied can be traced back to Takata, the bankrupt airbag corporation responsible for largest automotive industry recall to date due to its potentially explosive airbags, that issue can’t explain the whole story. AlixPartners found a total of 300 other recalls issued in 2016. Parts suppliers were a major problem in manufacturing. Another common issue compounding the recall problem, the firm says, are defects in the electrical systems that power vehicles. Electronic or electrical systems “deliver many of the modern comfort and safety features that today’s consumers demand,” but have also come at a cost. Recalls over defects in such systems have grown 30% in recent years, according to the report. Such recalls can affect an entire line of a given car model because they all rely on the same system. “These systems-based recalls usually affect 100% of the vehicle models in question, unlike manufacturing defects, which are confined to a single plant or region, and a narrow time window of manufacturing,” the report explains. AlixPartners urges companies to reconsider their manufacturing approach, calculating that recalls have cost the industry an estimated $11.8 billion in claims. As an example of a quality issue that resulted in “mounting expenses and bad press,” the report cites the General Motors ignition switch scandal, or the recall and criminal investigation over General Motors cars that could suddenly shut off without warning. The defect was blamed for over 120 deaths and dozens of other crashes. Though knowledge about the problem did not reach the public until 2014, litigation revealed that GM’s engineers knew for at least a decade about the potential of ignition switches to suddenly fail their drivers. In 2015, after facing lawsuits and recalling 2.6 million Chevy Volts and other small vehicles, GM agreed to pay $900 million to the Department of Justice to settle a criminal investigation into the matter. Between that settlement and civil lawsuits, the scandal cost General Motors over $4 billion, AlixPartners says. The case presents a stark contrast to claims that automakers have made about the promise and safety of cars of the future. GM, for example, is heavily promoting its autonomous vehicle testing and told ConsumerAffairs last year that it had more self-driving cars in its fleet than any other automaker. GM is leading a trend of established car companies trying to take on autonomous start-ups operated by tech powerhouses like Uber, Tesla, and Google. On January 10, Nissan Motor and Mitsubishi Motors announced an alliance in which they plan to invest up to $1 billion “electrification, autonomy, connectivity and artificial intelligence” over the coming years. And Ford Motor Company last year announced it had invested $1 billion into an artificial intelligence film called Argo AI. Their report does, however, say that automakers have become too preoccupied with profits and innovation, especially after the industry took a hit in 2008. “In some cases, companies have established metrics and incentives that prioritize sales volume, customer satisfaction, and profit over quality,” the report says.